A free music festival is not really ‘free’. Without our generous sponsors, our events would not be possible! Festival sponsorship is not just rewarding, it’s a great investment that can align your brand with one of the largest, most beloved music festivals in the country. Approximately 700,000 fans attend our events annually and tell us a huge part of the appeal is the true, authentic New Orleans experience that it offers. 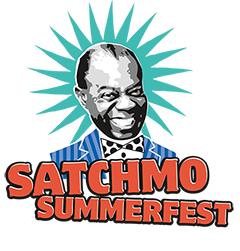 From the broad range of Louisiana artists to the world-class chefs, it is no surprise that French Quarter Festival and Satchmo SummerFest are consistently voted New Orleans’ favorites.